The text offers a rich collection of 64 plays in a compact, portable 2-volume package (33 plays in one volume for the Shorter Edition). The flexibility that the Norton Anthology provides makes it possible for instructors to use the book for a variety of courses. 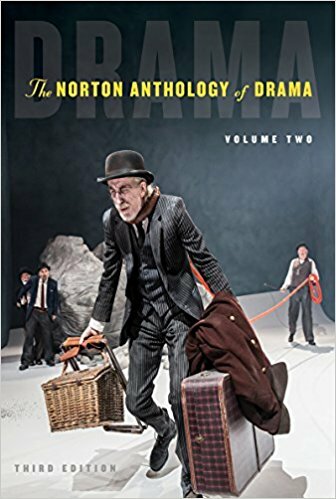 Whether the course is an in-depth, two-semester drama literature survey, a modern- and contemporary-drama seminar, or a large introduction-to-drama course, The Norton Anthology of Drama fits the bill. The Third Edition offers significantly more coverage of theory and criticism through NEW textual and digital features. In the text, NEW “Perspectives” features present excerpts from key texts in theory and criticism. The online Theory and Criticism of Drama Reader gives students free access to 35 additional essays. As in previous editions, Norton’s highly praised introductory headnotes provide an overview of theoretical issues and critical responses to the plays. For more than 50 years, the Norton Anthologies have set the standard for editorial help that is right for undergraduates. The editors craft introductory matter that is substantial and interesting, and that propels students into the plays with enthusiasm and the right amount of background knowledge. Annotations help students with unfamiliar references wherever they occur, but without interpreting the work for them or offering more information than an undergraduate reader needs. NEW to the Third Edition is a “Glossary of Dramatic Terms” at the end of each volume. Norton offers a comprehensive collection of high-quality instructor resources that are easy to incorporate in the classroom. You will find images, videos, teaching tips, and more—along with additional materials and self-study aides for students, all for no additional cost. No other anthology of drama offers as much student and instructor support.